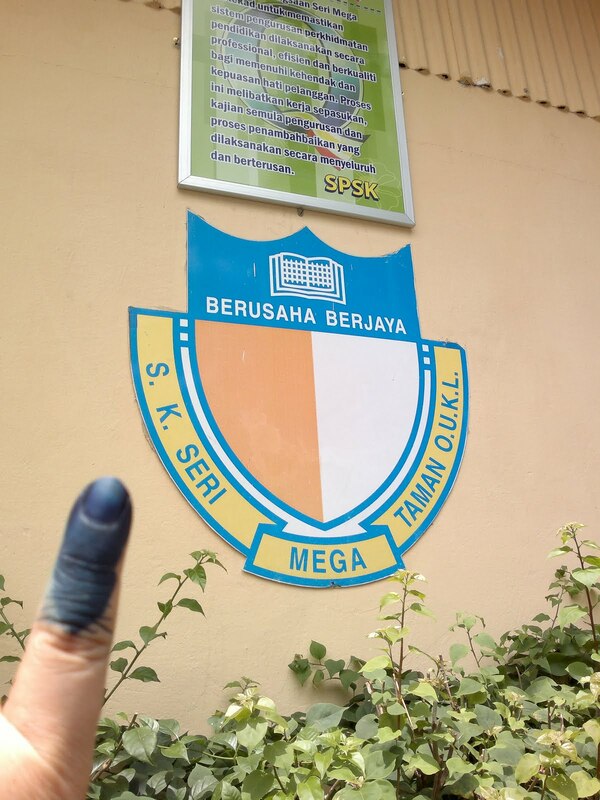 Malaysia: I casted my vote in GE13, PRU13. Did you? So I finally did it. 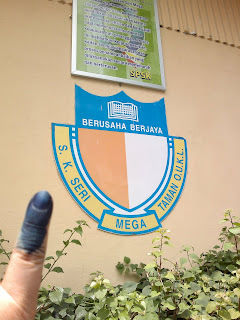 My second time in casting my vote as a citizen of Malaysia at the polling station at Sekolah Sri Mega. I missed the one in 2008 as I was in Sydney that time. Sekolah Sri Mega also happens to be my old school when I did my Year 1 in 1986, 27 years ago! It looks the same.. Not much has changed with its buildings. There was no commotion. No nothing. Just took me 5 mins of waiting, done before 12pm. Parking was a little difficult though. Had to park a bit further away from the school, and traffic congested with everyone wanting to come in to vote. Now we all will have to just sit tight, pray hard, and let God do the rest. May the best party wins! "Malaysia: I ^casted^ my vote in GE13, PRU13. Did you?" Did English Lit in school? Shakespeare in A Levels. Why?